Former Manchester United manager Jose Mourinho has named Paris Saint Germain star Kylain Mbappe as world's most valuable player. The Portuguese tactician, who is currently enjoying life as a TV pundit overlooked his former players Cristiano Ronaldo and Paul Pogba to rate the 20-year-old his MVP. Mbappe has scored 26 goals and six assists in 23 Ligue 1 matches for the Parisians this campaign. Though, he was unable to save the French League champions from crashing out of the UEFA Champions League championship this month after bowing to EPL side Manchester United. Mourinho was sacked by Man United last December following his poor relationship with his players - couple with their struggles in all competitions this term. Daily Mail reports that the former Chelsea handler is living large with his new role as an analyst with BeIN Sports. And the 56-year-old believes the PSG would require a world record transfer fee to lure him away from France. 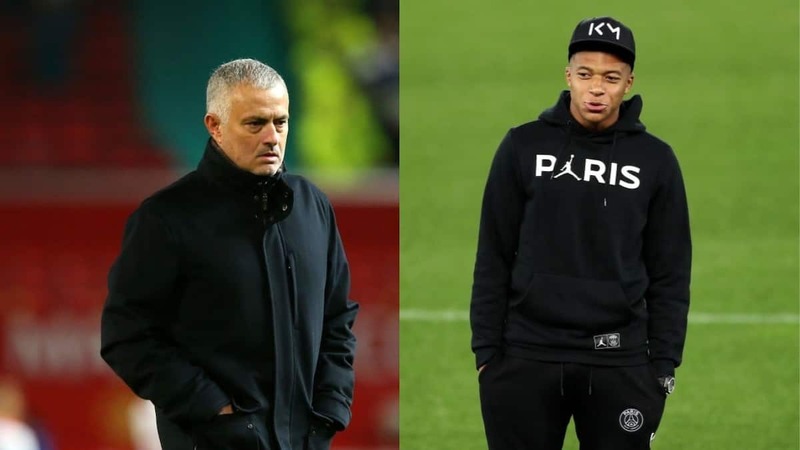 Mourinho told BeIN Sports: "For a player like Mbappe, when you speak about the future, you don't need to say what he's going to be like in five years' time, in 10 years' time. Just focus on now. He's absolutely incredible." The former Real Madrid boss further stated that the 20-year-old, who made Ballon d'Or top four list last year will continue to impress in his career. He added: "I think going by his age and [and considering] the age of Cristiano, of Messi, [both] over 30, Neymar is 27... when you go to the market level and age is also a factor, I think he's the most valuable player in the world. Legit.ng earlier reported that Chelsea squandered a chance to rise above Manchester United on Premier League table following their 2-0 defeat to Everton at Goodinson Park on Sunday. Two send half goals from Richarlison and Gylfi Sigurdsson ensured the Blues remained 6th on the table after match day 30. As the Stamford Bridge outfit are left three points off the top four with just eight matches remaining to play this campaign.